Texan Grammy winner Maren Morris headlines Nu Country TV Saturday April 20 at 9.30 pm on Channel 31/44 on the eve of her second Australian tour in August. Prolific Golden guitarists Kasey Chambers and Travis Collins return to the show repeated Monday 7.30 am and Thursday 12 am. ARIA award winning expat Kiwi Shanley Del appears in Behind Bars on the program filmed and edited by Laith Graham. Albury singer-songwriter Hayley Jensen and Mississippi minstrel Randy Houser also return. Maren Morris, who won a 2016 Grammy for My Church , returns with a song of optimism and empowerment after appearing in the 2019 Grammy tribute to Dolly Parton. Morris wrote the title track of fifth album Girl with Melbourne born LA based singer-songwriter Sarah Aarons. She also collaborated with Aarons on her huge hit The Middle and Common featuring Brandi Carlile. Morris released three indie discs before her two latest albums on which she co-wrote or wrote all 25 songs. 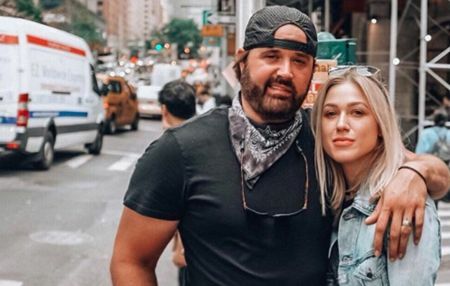 Maren, who turned 29 this month, and singing spouse Ryan Hurd co-wrote two songs All My Favourite People that features Brothers Osborne, and Great Ones for Girl. Morris married Hurd on March 24, 2018, after they met writing songs in 2013. In Morris's previous spaghetti western video Rich, set in a Tucson movie town, she played a bounty hunter who roped singing spouse Ryan Hurd who is cast as Buffalo Hurd. In response to the 2017 Las Vegas Strip shooting, Morris released Dear Hate - a song she wrote and recorded with Vince Gill - with all proceeds going to Music City Cares Fund. 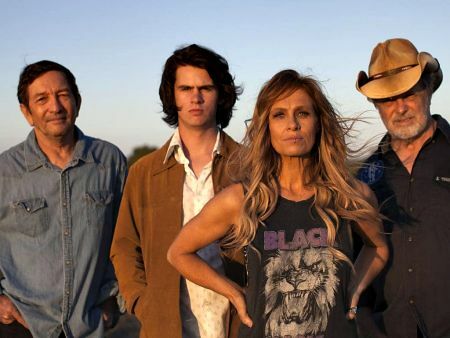 Kasey Chambers and her Fireside Disciples return with their evocative new video from her 12 th album Campfire. They filmed outback on the jetty at her mum's home on the NSW Central Coast. “We did Go On Your Way in my mum's backyard,” Kasey, now 41 and mother of three revealed. “She has this little house on the Central coast with this little jetty that goes out the back onto the river. My kids go out there and fish. This one has a water vibe. The Fireside Disciples sang Go On Your Way to the family matriarch - Poppa Bill's mother - on her death bed and then The Campfire Song at her funeral. “ Go On Your Way is drawn from the influence Africa had on my life,” Kasey revealed. CLICK HERE for a Campfire feature in The Diary on May 7, 2018. Seven-time Golden Guitarist and latter-day Cessnock singer-songwriter Travis Collins returns with a humorous new video directed by Jeremy Dylan - son of our late benefactor Rob Potts - in Newcastle and beyond. Happy is on seventh album The Brave & The Broken with all songs written or co-written by Travis. “We didn't approach these songs with a checklist and rulebook and I'm proud that it really shows here,” revealed Collins - a winner in the 2019 CMA Awards in Nashville . Previous single High Horse was an earthy torch song that held a mirror to a broken relationship seen through a mate's eyes. Brave & The Broken isn't just an album title, it is all of us,” says Travis who was born in Macquarie Fields south of Sydney in sheep country. Collins and former Qantas accountant Amber Lawrence combined in their video for Our Backyard - title track of their seven song EP. 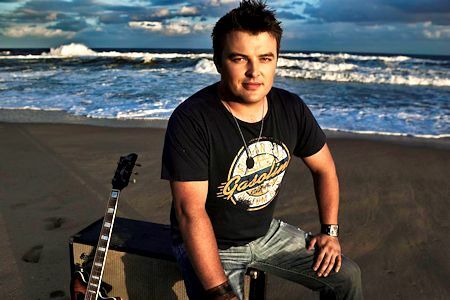 Travis busked on mean streets of Campbelltown as a teenager before winning 2004 Tamworth Starmaker Quest and writing songs in Nashville and touring the U.S. and Europe . CLICK HERE for a Travis Collins interview in The Diary on June 16, 2008. Expat Kiwi ARIA award winner Shanley Del debuts on Nu Country TV with Mornington Peninsula raised singer-songwriter Lachlan Bryan. They were joined by Texas marionettes in their video for Harlan Howard song I've Got All The Time in The World . Shanley first heard it when she met the late Harlan in a Nashville bar many moons ago. Del recalled she and Howard spent the afternoon drinking White Russians . During their bar chat Howard pitched Shanley I've Got All The Time In The World. Shanley fell in love with the song that stayed in her memory bank for decades before she recorded it as a duet with Lachlan Bryan. It's on Shanley's new EP with her bassist-singing spouse James Gillard. Del, 56, moved here in 1991 and played with sister Jenny Morris on tours and albums. 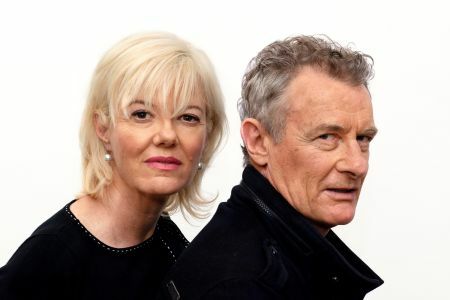 The 1998 ARIA winner has released 5 albums including one with Gillard who directed her video and another - Tea For Three - with Genni Kane and Jane Saunders. Bryan heads Melbourne band The Wildes and directs videos. CLICK HERE for a Lachlan CD review in The Diary on February 19, 2012. Albury singer-songwriter Hayley Jensen finds love in a paddock in her return with a faithful steed. They shared bread and champagne before finding their beau on This Love - fourth single on second album Turning Up The Dial, released on May 11, 2018. Hayley, 35, wrote it with Hunter Valley singer-songwriter Kirsty Lee-Akers and Nat Pearson. Jensen previously appeared on Nu Country with Saturday Night - penned with Daniel Skeed. She boomeranged after losing her dad two years ago to cancer and honoured him with You're With Me that she wrote with expat Australian Phil Barton. “The heartache that comes with losing someone you love, particularly a parent, is absolutely debilitating,” Hayley revealed. She recorded Turn Up The Dial in the U.S. with Grammy and Emmy award-winning producer, Jamie Tate. It features co-writes with award-winning songwriters, including Barton, Jerry Salley, Alex Seier and label mate Akers. She wrote Forever Won't Be Long Enough for her husband with Jerry Salley, in Nashville . Mississippi minstrel Randy Houser sold out the Corner Hotel , Richmond , and The Forum in the Melbourne CBD on his December tour. Houser, 43, proves handy on guitar, BBQ, piano and pool at the home he shares with Australian wife Tatiana Starzynski and their faithful canine in his video High Time on fifth album Magnolia. Houser married Tatiana on May 4, 2016, after being introduced by songwriter pal Dallas Davidson - her brother-in-law. High Time is on Houser's fifth album Magnolia. He was playing Mississippi clubs at 15 and he moved to Nashville as a demo singer after his dad died.